My family went on our very first cruise earlier this year and we have been hooked ever since. There’s just something truly special about cruising. 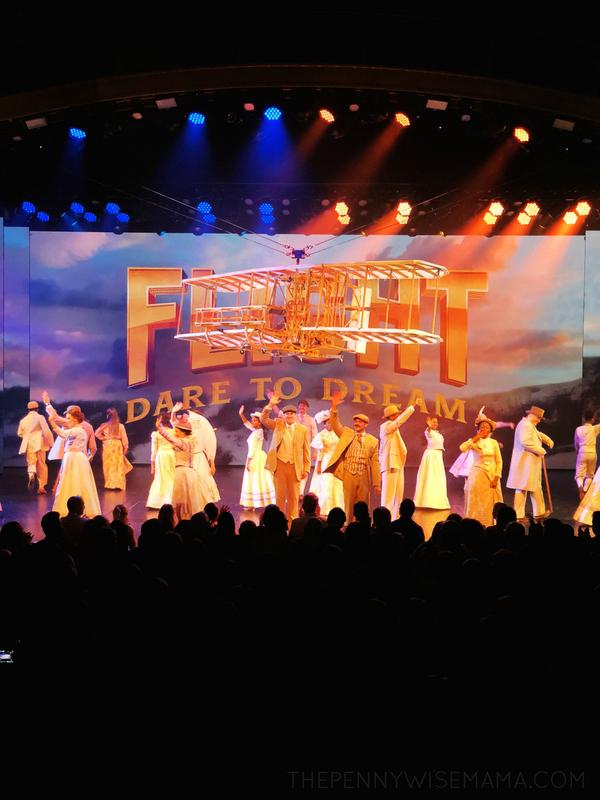 The beauty of the ship, incredible destinations, lively entertainment, and delicious food draw you in and make you want to go again and again. 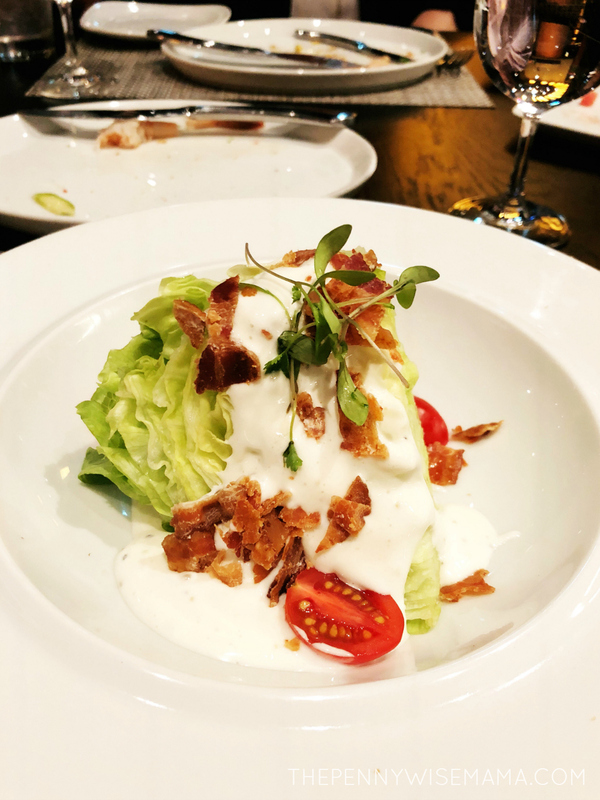 So when my husband and I were invited to go on a special preview sailing of Royal Caribbean’s new Symphony of the Seas (the largest cruise ship in the world) earlier this month, we were all in! 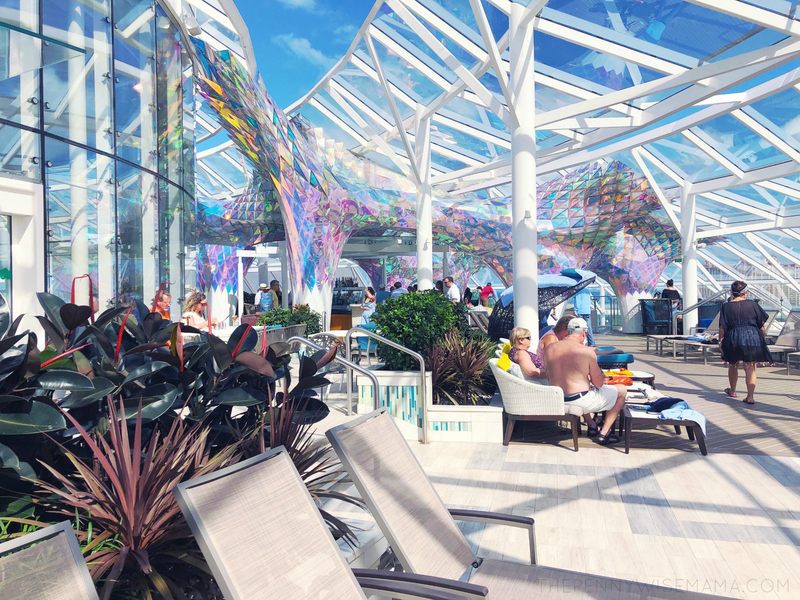 After spending several months making transatlantic voyages, Symphony of the Seas is now home in Miami and will be offering Caribbean itineraries. We were invited to go on an inaugural sailing to the Bahamas and attend the official naming ceremony. It was a quick, whirlwind of a trip but we had an amazing time! 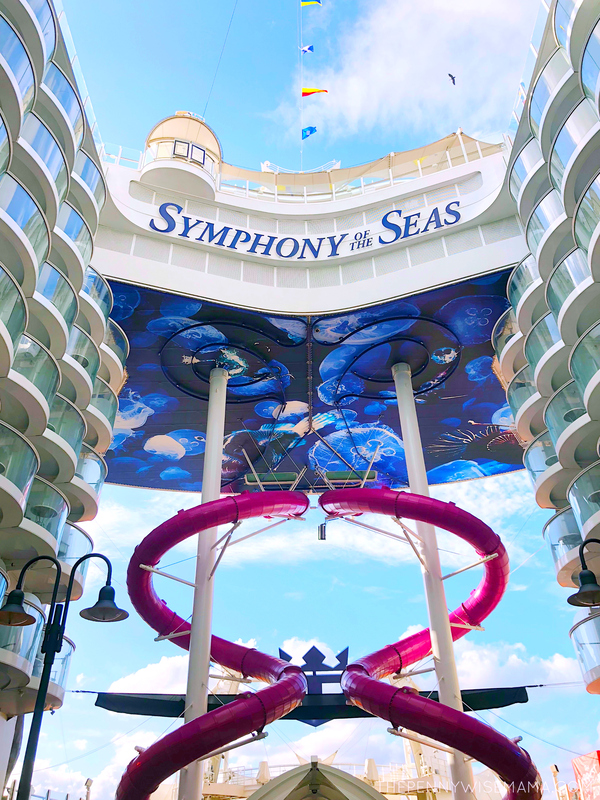 We were so impressed with the Symphony of the Seas from the moment we stepped foot on the ship. From the beautiful, modern design, to the endless activities, to the top-notch entertainment, to the incredible food, we were blown away. 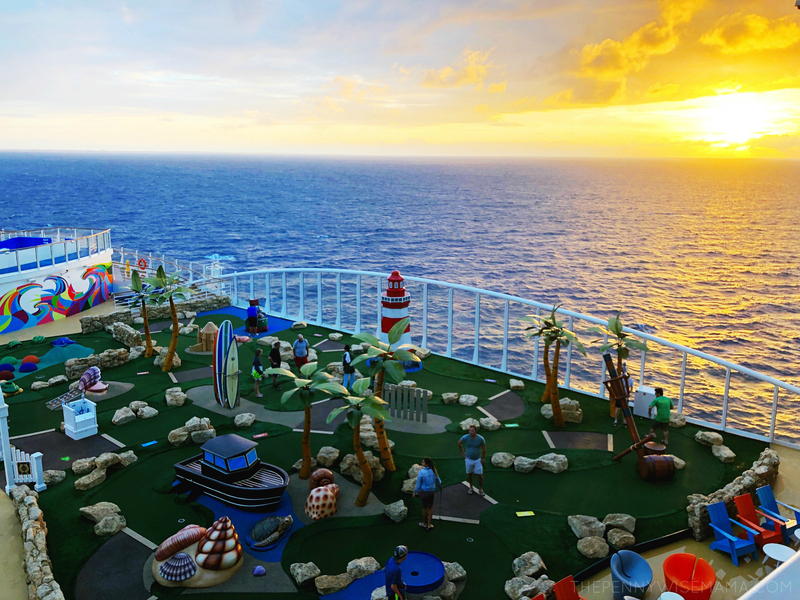 It’s definitely a one-of-a-kind cruise ship that has something for everyone. 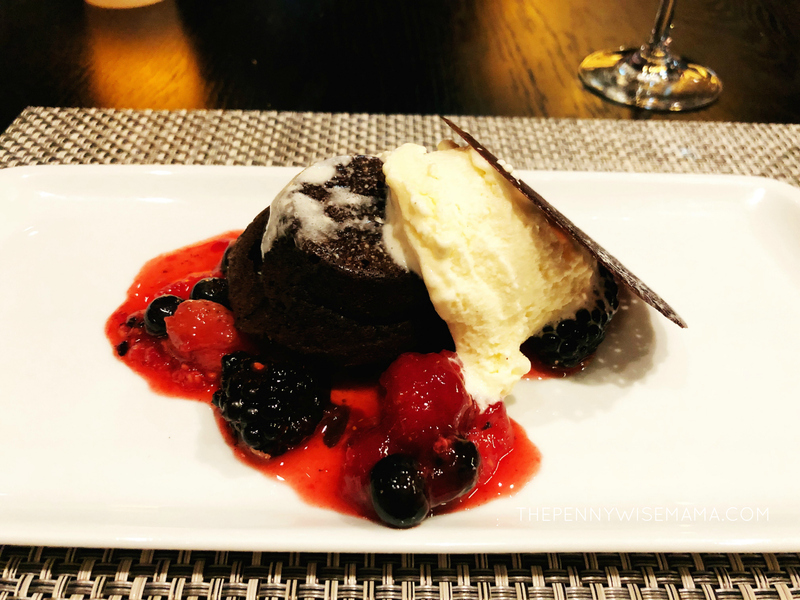 As a self-proclaimed foodie, one of the things I look forward to most when I cruise is the food. I like to have a variety to choose from and Symphony of the Seas did not disappoint. We loved the breakfast buffet at the Windjammer Cafe, fresh-made Mexican at El Loco Fresh, and yummy pizza at Sorrento’s. 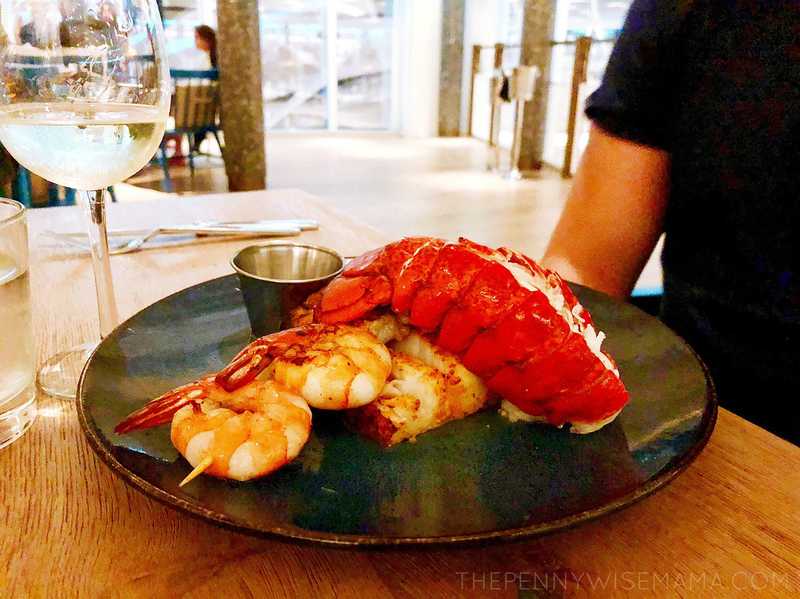 We also had a chance to try two specialty restaurants — Hooked Seafood and Chops Grille. 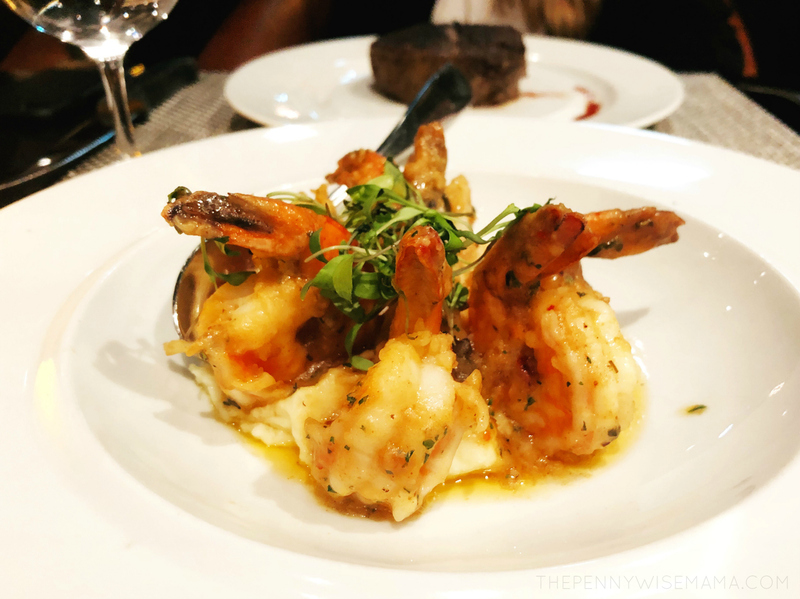 We loved the shrimp and lobster at Hooked and the steak at Chops was fantastic. 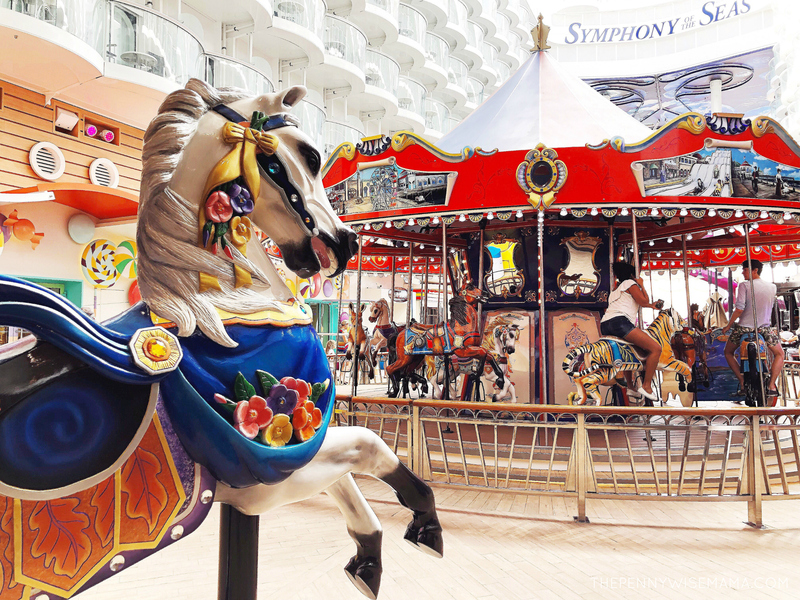 There is no shortage of fun things to do on Symphony of the Seas. 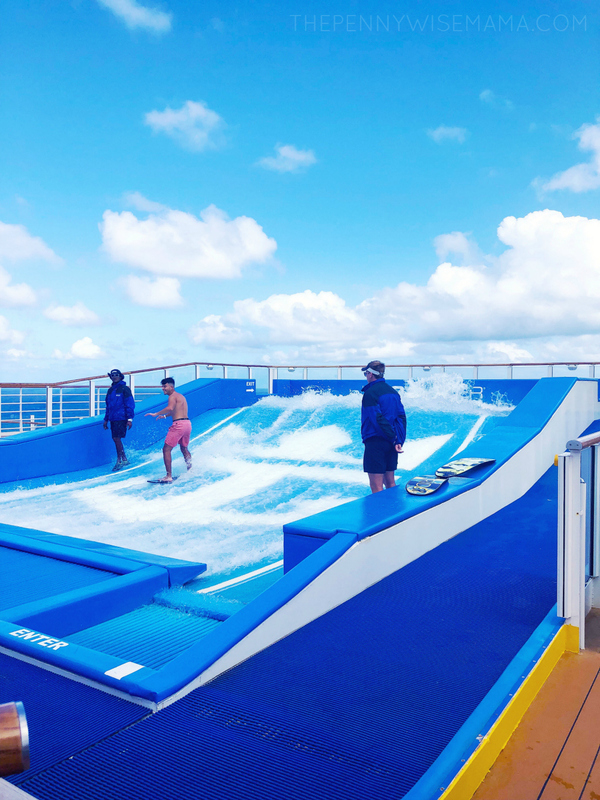 Whether you’re zooming down The Ultimate Abyss 10-story thrill slide, catching a wave on the FlowRider surf simulator, or rock-climbing to victory, the innovative at-sea experiences are every thrill-seeker’s dream. My hubby and I had so much fun exploring the different neighborhoods, especially the Royal Promenade, Central Park, Boardwalk, and Pool and Sports Zone. We also had a blast going down the waterslides and The Ultimate Abyss. There are so many fun activities for families that we kept thinking how much fun our three kids would have had. We will definitely have to go back and take them so they can experience all the fun too! 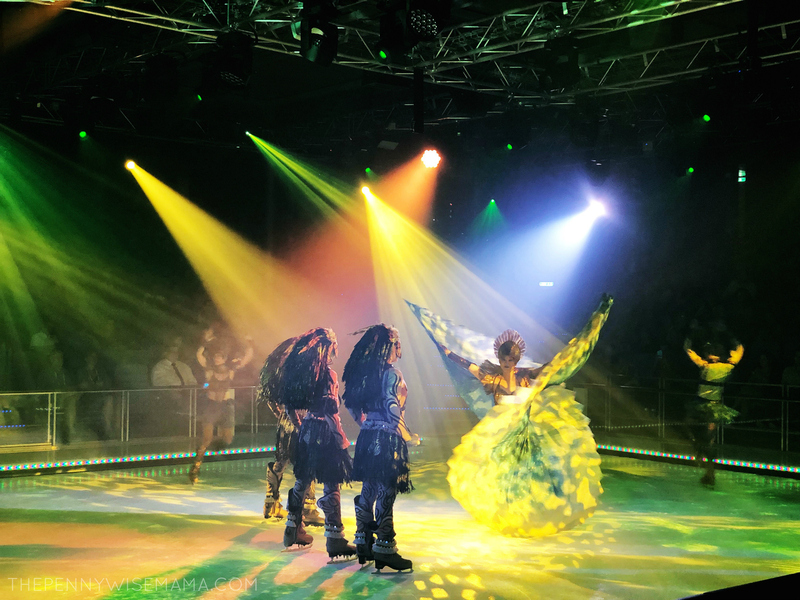 We were completely blown away by the entertainment on Symphony of the Seas. 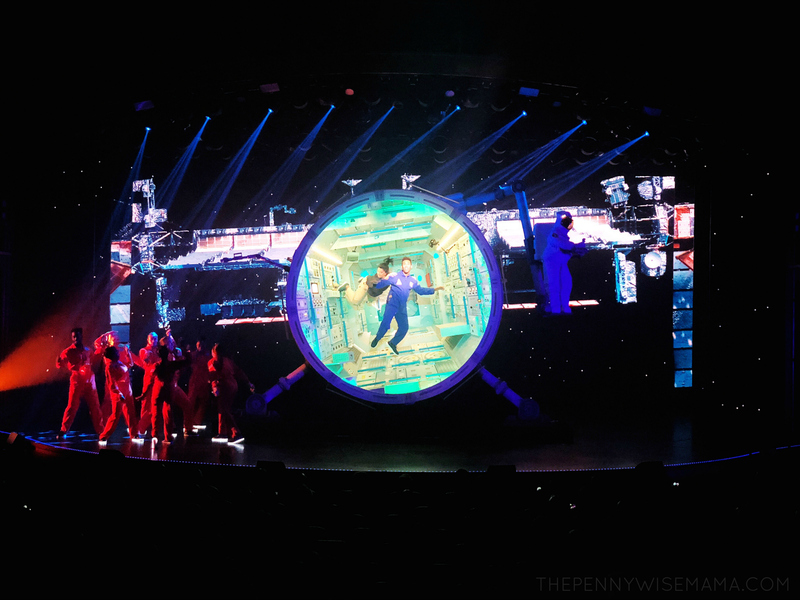 We had a chance to see “Hairspray,” “Flight,” and “1977” and all three shows were fantastic! 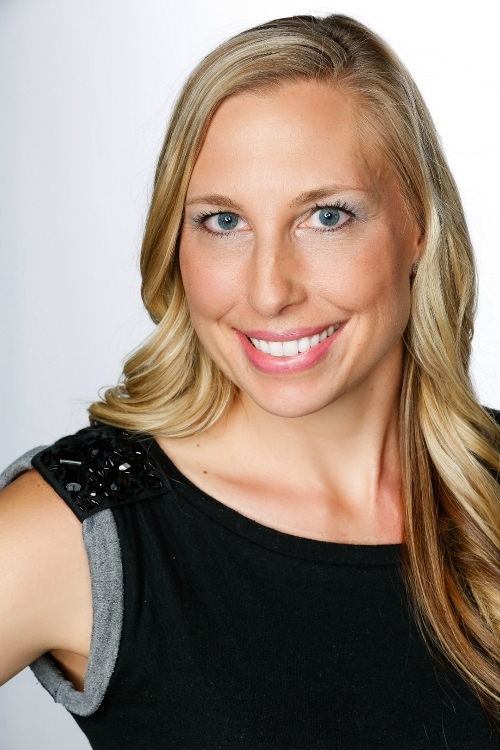 The performers were highly skilled, entertaining, and professional. We also enjoyed listening to the live bands in the evening after dinner. If we had more time, we would have loved to see “HiRo” at the AquaTheater, as well as a attend a comedy show. 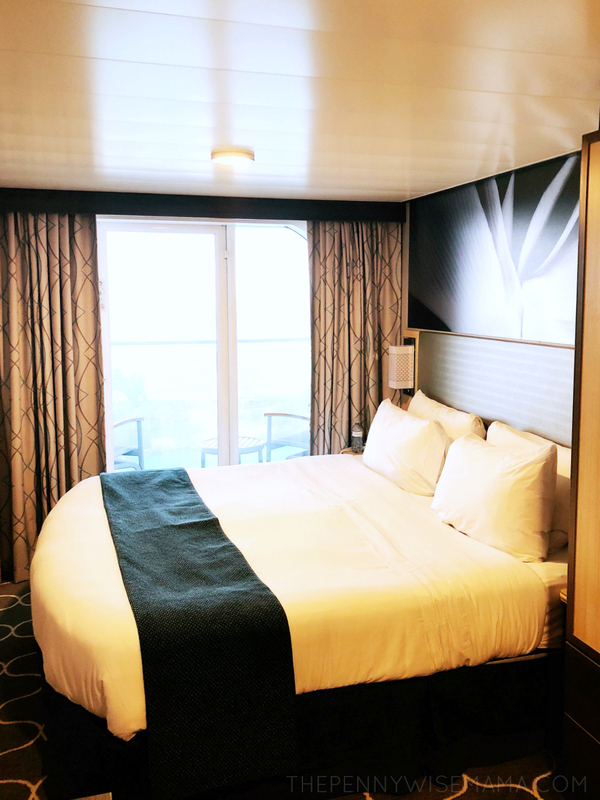 We had a balcony cabin on Deck 14 AFT. It was spacious, clean, and quiet. 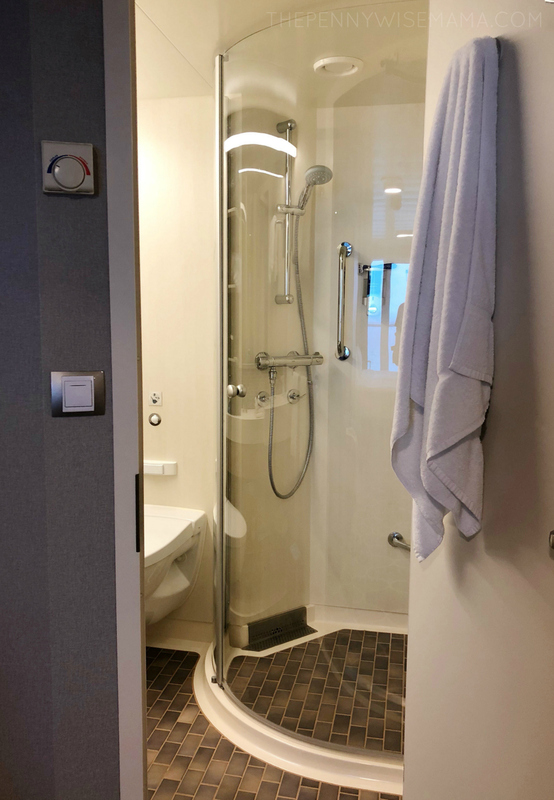 We loved the large bathroom and enclosed shower, and especially enjoyed the ocean views from our balcony. If we booked again, I would get a cabin mid-ship so that we would be closer to everything. 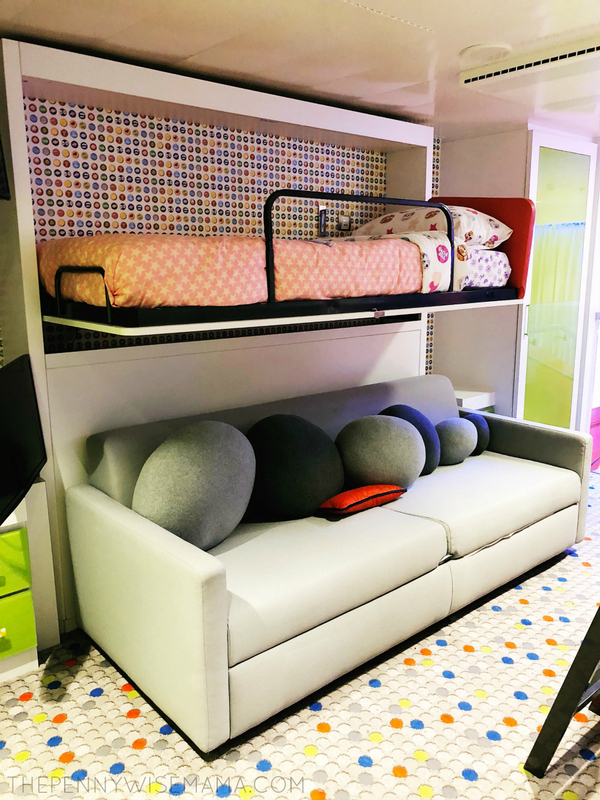 We had a chance to tour the Ultimate Family Suite, and WOW! It would definitely be an amazing suite to stay in with a family. 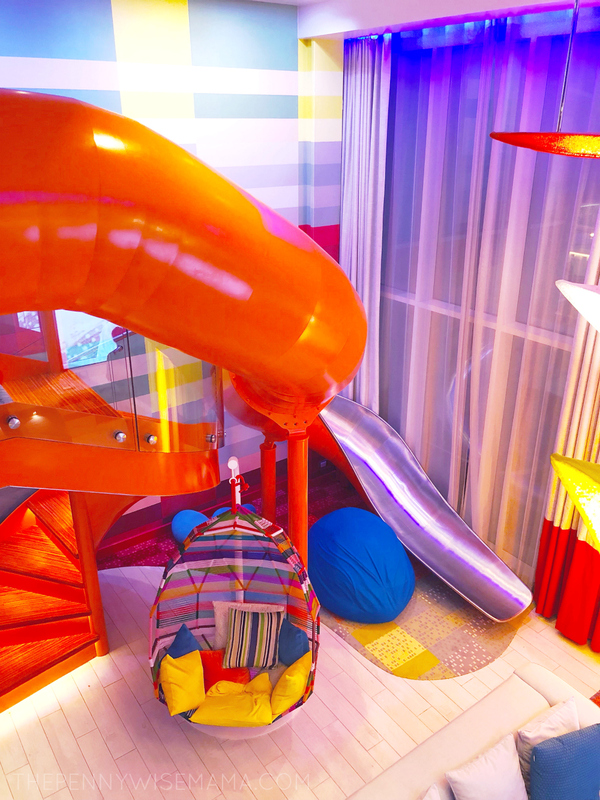 It has fun, bright colors, a twisty slide from the second floor kids’ bedroom to the main floor, a popcorn maker, game room, private jacuzzi and more. The room even comes with a Royal Genie who helps make sure everything you need is taken care of. Talk about the ultimate family vacation! 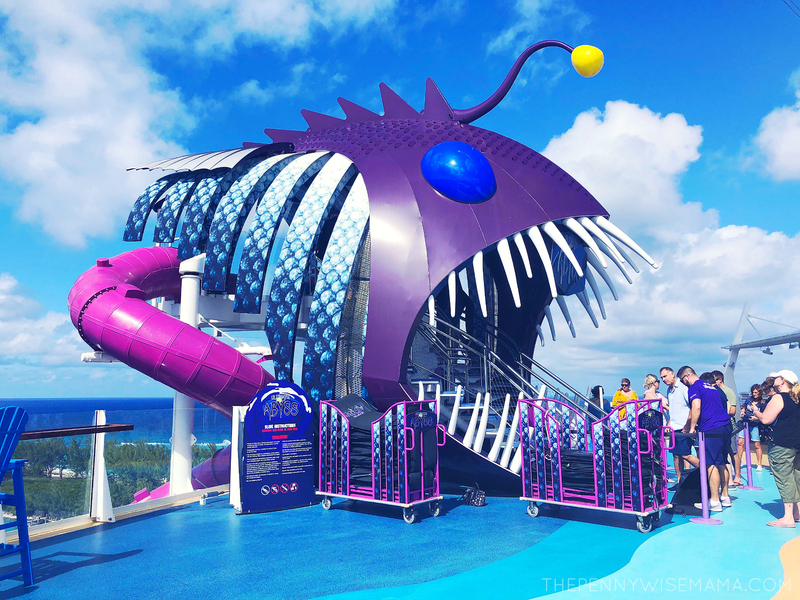 Symphony of the Seas is a beautiful ship that has something for everyone. 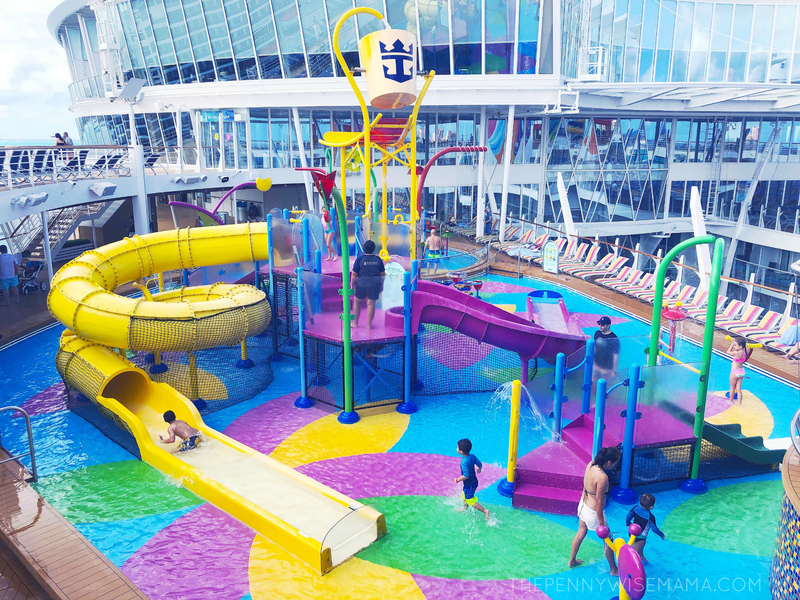 Whether you are cruising with a family, kids, adults-only, or solo, you will have plenty to do, see and eat. While the ship is large, it is easy to maneuver and never seems crowded. 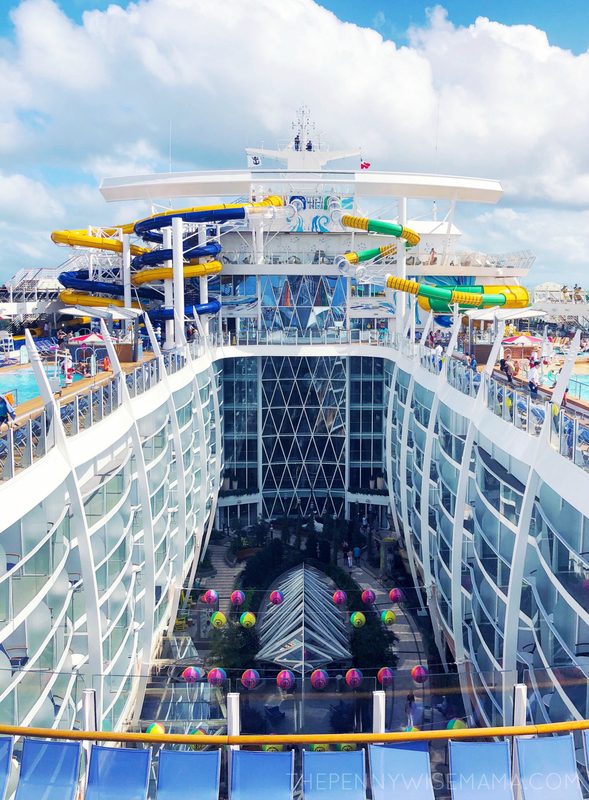 If you’re looking to take your first cruise or 20th cruise, Symphony of the Seas sets the bar high. It’s a well-thought-out ship that will leave you wanting to come back for more! 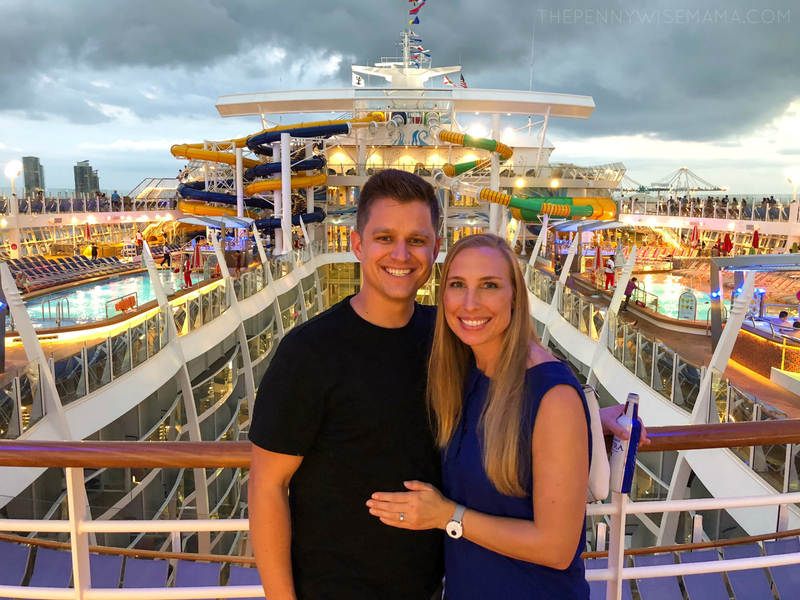 While our time on Symphony of the Seas was short, we had an amazing time and look forward to going back someday and bringing our kids! 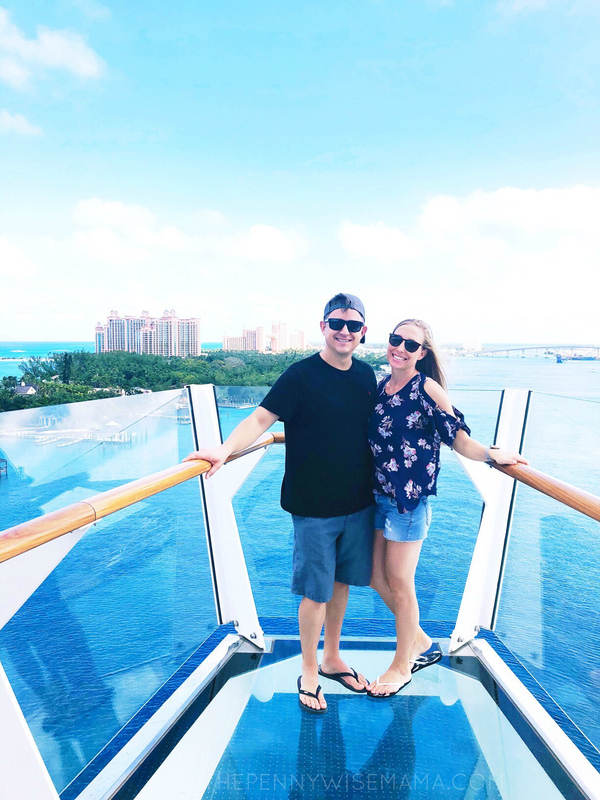 Thank you Royal Caribbean for hosting us and treating us to a couples getaway! 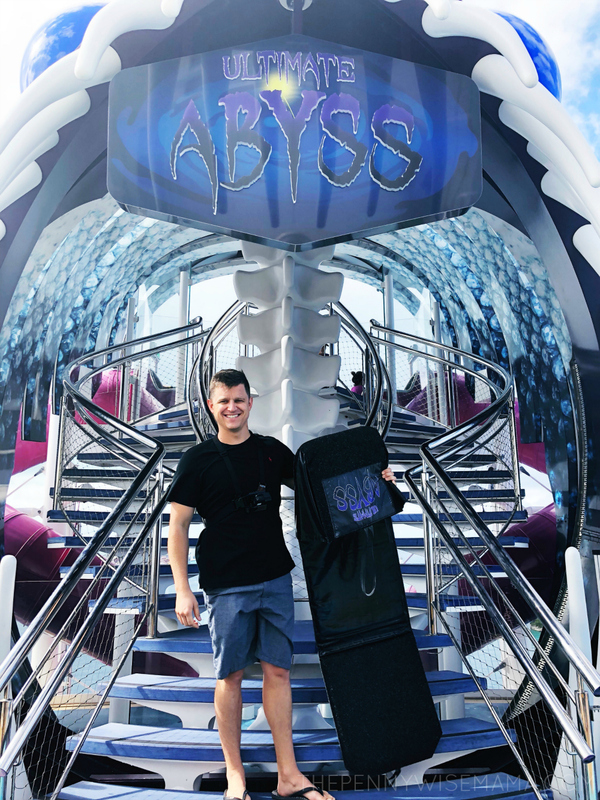 Loved reading about the Symphony of the Seas! The kids and I are taking our first cruise in the summer of 2019. My husband won’t go with us! I’m excited to experience it.